Are you looking to recover after a tough workout or night out? 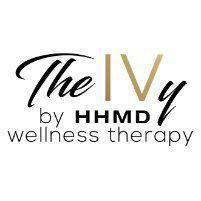 Get fluids and vitamin infusions via IV or injections at The IVy by HHMD in Glendale, California. The IVy team has more than 10 years of experience helping the Glendale community live healthy and enjoyable lives. You, too, can enjoy the benefits of IV and injection therapy at this professional and spa-like facility. Call or schedule a visit online today to feel your best. How can an IV drip help me recover after a workout? If you’ve just finished an intense workout or endurance event—like a marathon or triathlon—you can benefit from IV fluids and vitamin infusions or injections. The IVy team starts with a saline solution IV and adds beneficial vitamins and nutrients to help with your specific complaints. The major benefit of an IV versus drinking water or sports drinks after a workout or sporting event is much faster hydration with a lower risk of gastrointestinal upset. In just about an hour, you can be back at 100% hydration, when compared to drinking a gallon or more of water over hours following your workout. Can an IV drip help with a hangover? Definitely! The major cause of hangover discomfort is dehydration. This can easily be fixed with a simple saline IV or boosted to include vitamins and nutrients to improve your energy and help your body detox. If you’re experiencing a hangover and want to feel better within an hour, an IV drip is the fastest solution available when compared to over-the-counter pain medications or drinking water. What is in a recovery IV drip or injection? The team can recommend specialty infusions and injections based on your symptoms. IVs and injections bypass your digestive system. If you’re dealing with an upset stomach, you won’t have to worry about nausea or vomiting. This way you can recover in a relaxing environment while your stomach settles and you receive the necessary fluids and nutrients you need to get back to normal. What happens during an IV drip session? During an IV drip session, an IVy team member administers the IV. He uses pain numbing sprays to avoid causing any discomfort while placing the IV needle. If you need to recover from a workout or hangover, call The IVy by HHMD or schedule a visit online now.